The Nepal Army's 12 military personnel will visit China to attend the second edition of 'Mt Everest Friendship Exercise', a 12-day long military drill, sources said. 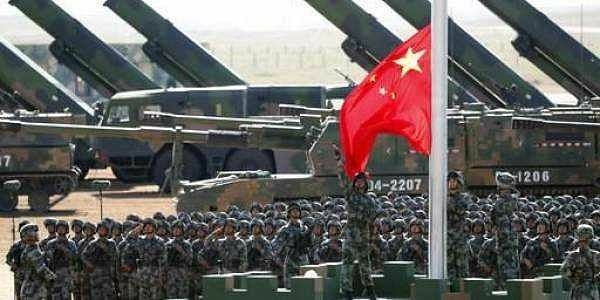 KATHMANDU: The second edition of Nepal-China joint military exercise with a special focus on combating terror would begin from Monday in China's southwestern Sichuan province, a senior official here said. The exercise will mainly focus on anti-terrorism activities, said Nepal Army spokesperson Gokul Bhandari. Disaster management training will also be imparted in the training, he said. This will be the second time that the Nepal Army will participate in a joint military drill with People's Liberation Army. The first such exercise was held in April last year. Nepal has been conducting battalion-level exercises named 'Surya Kiran' with the Indian Army for the last 13 years, engaging some 300 personnel from both sides. The defence forces from Nepal and China have increased their engagement of late.